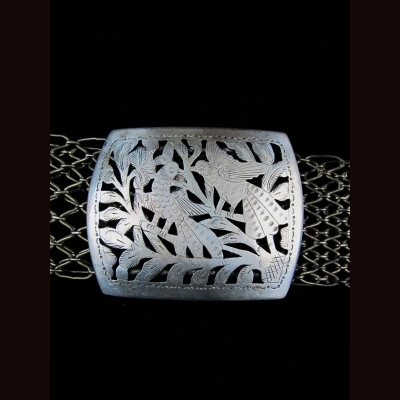 Antique Chinese silver belt with a pair of love bird and floral motif on the buckle . This belt were consider prized dowry give for prominent families . 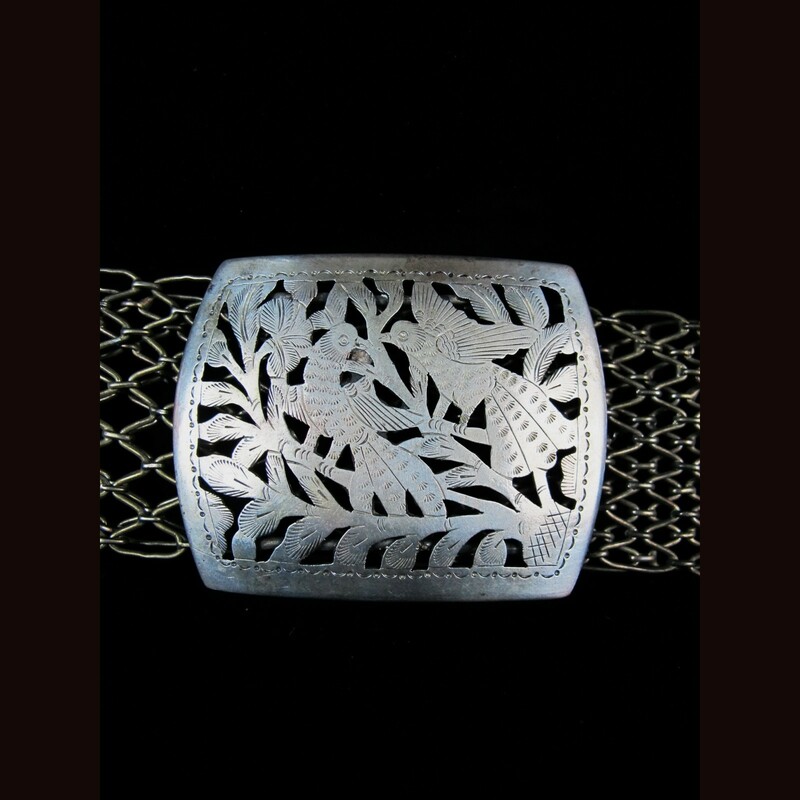 The motif of a pair of bird are a sign of harmony in marriage.This belts were worn in wedding and in special occasion only and are mostly kept as heir loom .